Our immaculate six guest rooms are elegantly appointed giving the feel of old romance inter-mixed with all the comforts of home. The intimacy of our restful guest room greets you as soon as you walk in. $110 - $200 per night for 2 persons; additional persons at $50/night. The height of nature in Brooklyn, Prospect Park has many engaging activities. Booking a picturesque accommodation in Brooklyn made easy by A & Faye Bed and Breakfast, conveniences of an Inn and elegance of a Hotel stay rolled into one. Looking forward to your Brooklyn stay but have not finalized your booking yet? Choosing between an inn or hotel accommodation? Well, how about a bed and breakfast? An A & Faye Bed and Breakfast booking will allow you to experience and explore Brooklyn the best way possible. There are 6 cozy accommodations to choose from, all with the comfort and style that will make you feel like you truly belong in the Brooklyn neighborhood. Take it from guests who’ve had the bed & breakfast experience with us. 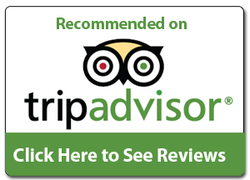 Even TripAdvisor reviews will confirm our claim. We do not only boast of the quality of accommodation we offer, we are also in a great location. Situated at the heart of Brooklyn, you will easily get a dose of both nature and culture. Booking your stay with us brings you close to a lot of Brooklyn’s must see destinations like Drummer’s Grove, Prospect Park, Lefferts Historic House, Brooklyn Museum of Art, plus many other attractions that the area has to offer. More important than being an inn or a mere hotel accommodation, A & Faye Bed and Breakfast is your home away from home while you’re in Brooklyn. Let us know when to expect you! 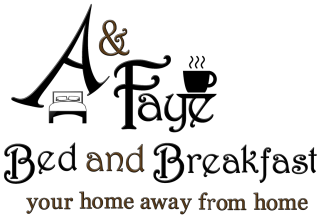 A & Faye Bed and Breakfast Inc.